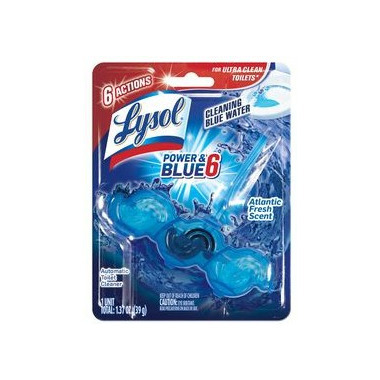 Lysol Blue Power 10X Automatic Toilet Bowl Cleaner features 6 Lysol Power Actions to continuously clean and freshen your toilet. The unique wave design helps fight toilet rings, prevent stains and is septic safe. The easy sanitary application allows for a clean and fresh toilet for up to 4 weeks.